Don’t you hate when you try to save an avocado and the whole thing turns rotten? How can you preserve that delicious, healthy avocado? Rena Greenberg, Hay House Author and renowned weight loss coach, shows you how to keep an avocado fresh until you are ready to eat it. You’ll never get stuck with a brown avocado again! 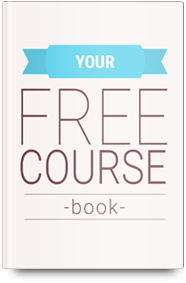 Get Rena's 120 Essential weight loss tips FREE! Plus get all the latest news, recipes and offers direct from Rena every month. Rena Greenberg has had the privilege over the last 25+ years to work with over 100,000 people in 75 medical centers to help them lose weight without surgery. Previous Post Why is Everyone so Unhappy? Next Post Take the Worry Free Challenge! Thank you so much, Linda! I appreciate your kind words! Let me know how this avocado trio works for you! To save time and avoid odors from cutting up onions when I buy avocados I pick up a container of pre-diced onions. I use half for storing the avocado and half for recipes. Thanks for that tip, Mary. Great idea! Great tip. Looking forward to trying it. Let us know how it goes for you!